A Classic Christmas | Hey nerds! Welcome to a proud place for the geeky things we all love but are a) too old for, b) too embarassed to bring up in public, and c) really really rock. Zooey Deschanel doesn’t need another reason for us all to find her totes charming, but it must just come that easy to her. Backed up by indie guitar maestro M. Ward, Zooey is set to sing her way into our hearts all over again in December with her fifth record as one half of She & Him. On December 1st, the duo’s new studio album is set to provide some respite from The X Factor and Crimbo #1 hopefuls thanks to Deschanel and Ward choosing to cover proven classics and deliver them under the catchy title, erm, ‘Classics’. 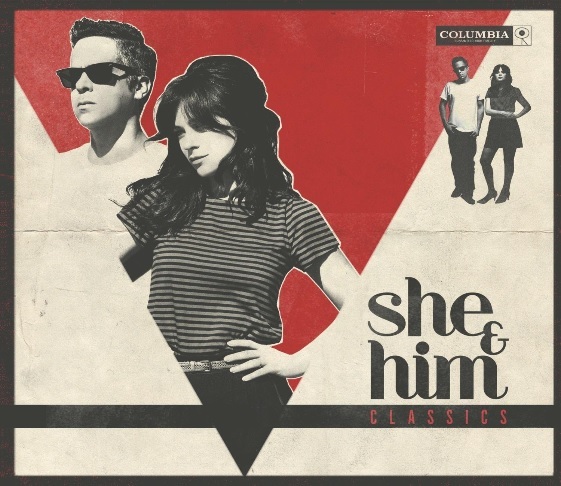 A cynic could choose to term this musical move as lazy, but Zooey’s voice has always worked wonders with a golden oldie and the duo’s own originals have perfectly captured a sense of neo-nostalgia, thanks to various retro influences they will readily admit. 12. Would You Like To Take a Walk? I'm McGeek. Lover of the geekier spectrum of TV, film, music, general pop culture. Find out About the Geek. Say hi on Twitter: @nicetogeekyou. Facebook, Pinterest and Instagram coming soon.